These stuffed zucchini boats will make even the pickiest eaters fall in love with zucchini and are a great option for using up all that garden fresh zucchini! 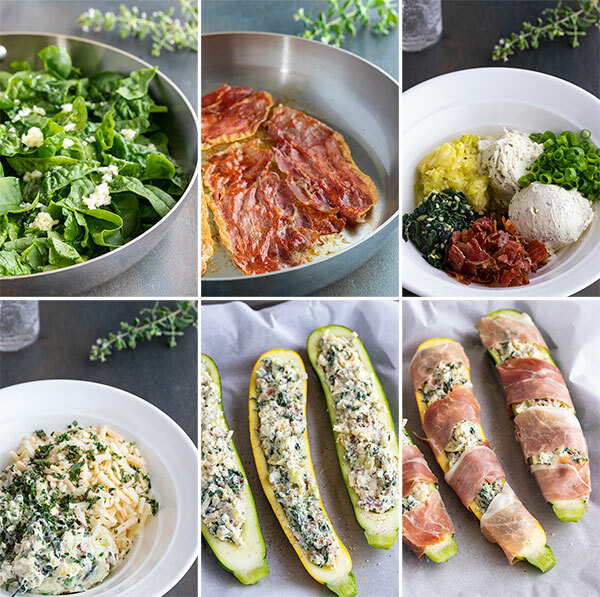 Stuffed zucchini boats are a really easy side dish that take very little time and effort to make, but will wow everyone at the table both with looks and taste. 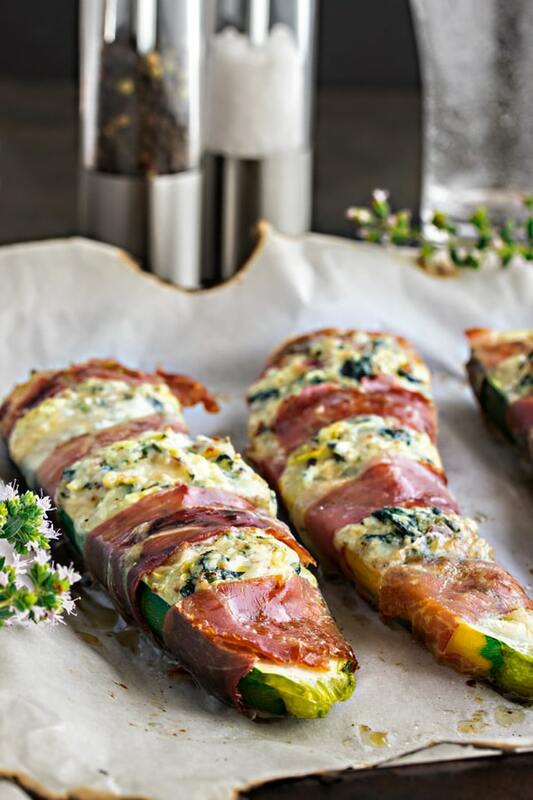 The zucchini boats are basically just a vehicle for the melty cheese and crispy prosciutto. Together they make an impressive side dish for any meal. 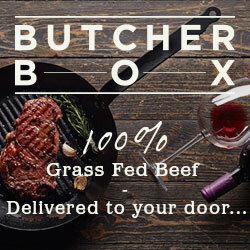 Try them for thanksgiving dinner or a backyard bbq in the summer. How do you make zucchini boats? Slice your zucchini in half and scoop out the seeds. These will be your “boats” to hold all the cheese. The seeds go into a bowl and will get mixed with the filling. Into that bowl add the boursin cheese, cream cheese, shredded cheese, green onions, oregano and thyme. Mix well and set aside. Heat a skillet on med-low heat. Add 4 slices of prosciutto and cook for a min on both sides. It will get crispy quick. Cool, crumble it up and add it to the cheese mixture. In the same skillet, add the olive oil and then the shallots, garlic, and spinach. Saute just until the spinach starts to wilt. Remove from heat and let it cool slightly and then add it to the cheese mixture. Mix well. Season with salt and pepper to taste. Spoon the cheese mixture into the carved out parts of the zucchini. 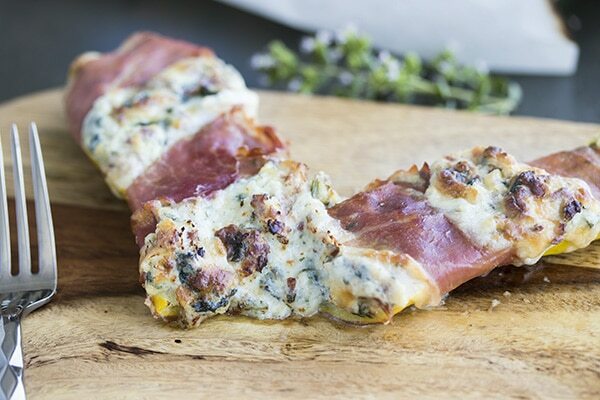 Wrap the zucchini with the prosciutto slices and place on a parchment lined baking tray. 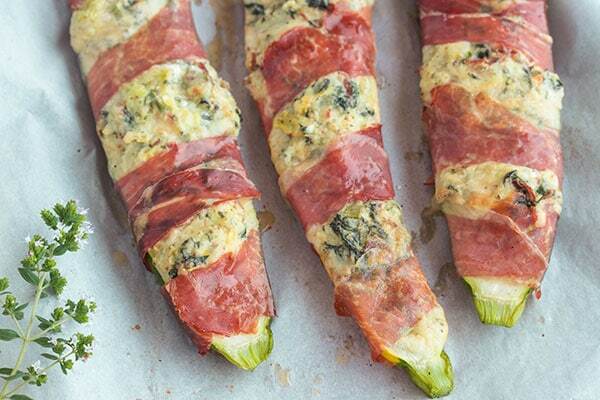 Bake for 15 – 20 mins or until the cheese mixture is bubbling and the prosciutto is browned and crispy. Serve right away. How long does it take to bake stuffed zucchini? The amount of cooking time is going to vary slightly depending on the size of your zucchinis. The zucchini that we used are medium sized zucchini and they take about 15 – 20 mins in a 350 degree oven. If your zucchini are large, start with 20 mins and then check them every 5 mins. When the prosciutto is browned and the cheese is all melted, the zucchini are done. Be careful not to over bake or your zucchini will be really mushy. Can you make zucchini boats on the grill? You can wrap them in tin foil and place them on the grill with the lid closed and that will work just as well to cook your zucchini boats. You could also use one of these grill mats that the zucchini boats could cook on in the bbq. 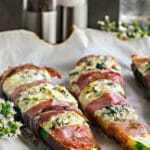 They work really well for grilling things that could leak down into the bbq and cause flare ups, like the cheese or moisture in these zucchini boats. Absolutely. And with zucchini boats, you kind of need the skin on to keep the zucchini together. If you don’t like the skin or its a little tough (like some green zucchini can be) just eat the zucchini and leave the skin. It will come off easy once it’s cooked. Can you freeze stuffed zucchini? I think you could, but we haven’t tried. The zucchini might get a little mushy, but maybe not. If you are going to try, freeze the stuffed zucchini before they are cooked. Then thaw first before cooking. If you’ve tried this stuffed zucchini boat recipe then don’t forget to rate the recipe and let us know how it turned out in the comments below. We love hearing from you! Slice your zucchini in half and scoop out the seeds. These will be your "boats" to hold all the cheese. The seeds go into a bowl and will get mixed with the filling. Bake for 15 - 20 mins or until the cheese mixture is bubbling and the prosciutto is browned and crispy. Serve right away. This is super inspiring! All this stuff looks amazing!